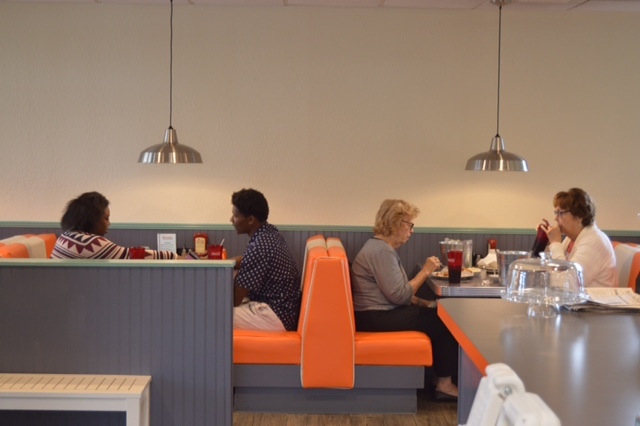 Start your day with a great BREAKFAST at SWEETIES DINER. 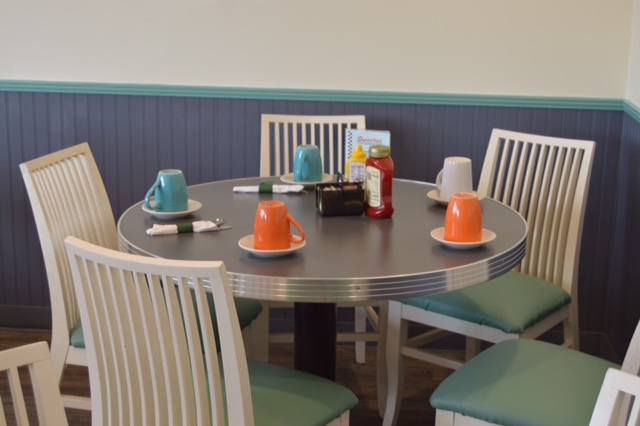 Our delicious breakfast menu includes Omelettes, Crepes, Pancakes, Skillets, Combo Plates and many more.. 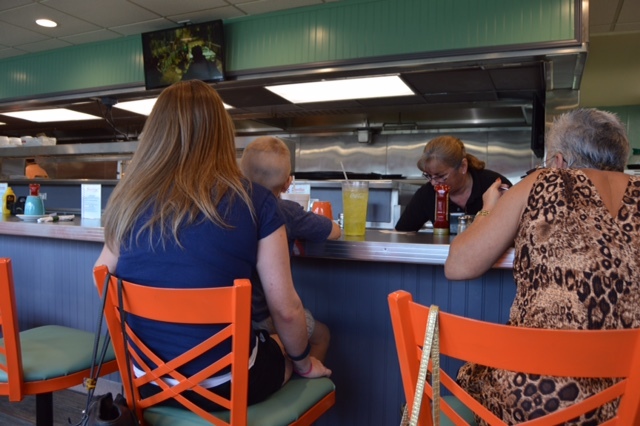 Call Sweeties Diner for order and pick up at 772-828-3720. Baby spinach, bacon, Swiss cheese, tomatoes, mushrooms and Vidalia onions. Served with sweeties own Hollandaise sauce. Baby spinach, broccoli, mushrooms, tomatoes, and avocado. Specify eggs, whites or beaters. Chorizo, jalapeños, tomatoes and onions with cheddar cheese. Served with sour cream and salsa. Meat lovers combo of bacon, sausage and baked ham with melted cheddar cheese. Chopped baked ham, onions, green bell peppers and American cheese. Baby spinach and creamy feta cheese. Dusted with powdered sugar, syrup and whipped cream. Thick slices, dipped in our special batter and grilled. With powdered sugar, butter and syrup. House special bread dipped in our batter, cooked until golden. Topped with cinnamon apples, raisins and slivered almonds. Drizzled with caramel and vanilla sauce. Optional: Add fruit or nuts for an extra charge. All skillets served with your choice of toast. Diced onions, green bell peppers, baked ham, shredded American cheese, our hash browns with two eggs any style. Served with Hollandaise sauce. Polish sausage, onions, tomatoes, mustard, hash browns shredded cheddar and topped with two eggs any style. Chorizo, jalapeños, tomatoes, onions, hash browns and American cheese, topped with two eggs, any style. Bacon, sausage and baked ham with our hash browns, shredded cheddar, topped with two eggs any style. Broccoli, baby spinach, onions, tomatoes, green peppers topped with two eggs. Eggs Any Way You Want It! 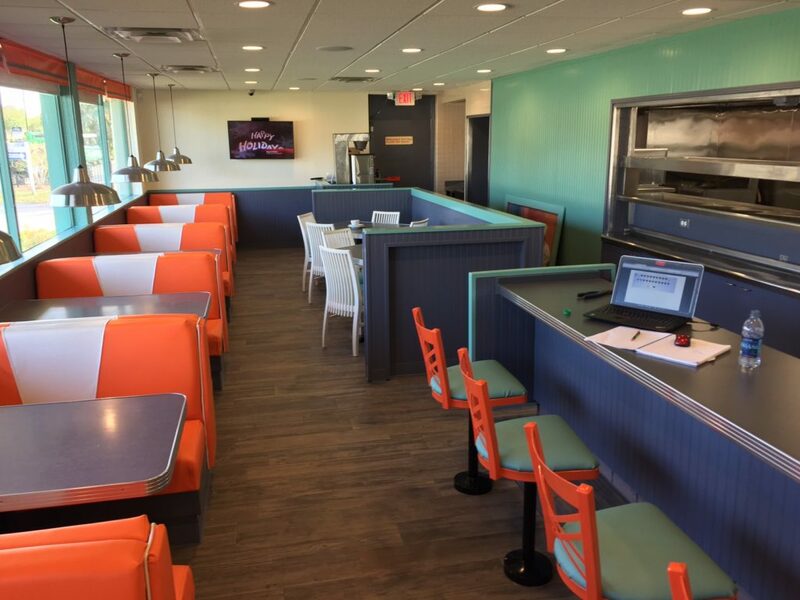 Served with hash browns, home fries and choice of toast or pancake. Choose from Polish sausage, turkey sausage, oven baked ham, link or patty. Simply served with whipped butter and syrup. Served with sautéed spinach and Swiss cheese with our Hollandaise sauce. Served with diced ham, onions, jalapeños, bell peppers and American cheese. Served with sweet cheese filling, ricotta, peaches and strawberry jam. Served with creamy chocolate and glazed, sliced strawberries topped with whipped cream. Two poached eggs on English muffin with oven baked ham and topped with our Hollandaise sauce. Two biscuits, ladled with rich country gravy with bits of sausage. Two poached eggs on English muffin with sausage patties and our own country sausage gravy. Two poached eggs on biscuits, with sausage patties and lots of country gravy. Baby spinach, tomatoes and mushrooms served with fruit cup and cottage cheese. Lean turkey sausage and tomatoes served with fruit cup and cottage cheese. Two pancakes or waffles or french toast, two eggs any style, two strips of bacon or sausage and chilled juice. Scrambled eggs, onions, green peppers, hash browns, sausages, and cheddar cheese. Ham sandwiched between two buttermilk pancakes topped with, two eggs any style and chilled juice. Mixed greens, tomatoes and cheese. All salads served with our special Sweeties flatbread. Salad composed of greens, avocado, bacon, crumbled egg and blue cheese, diced tomatoes and onions. Mixed greens with creamy feta, pitted Greek Kalamata olives, chopped tomatoes, onions, bell peppers cucumbers, pepperoncinis and greek dressing. Strips of ham, turkey, Swiss, cheddar, tomatoes, hard boiled eggs and mixed greens. Crispy tortilla bowl with chopped greens, black olives, green onions, our seasoned beef, avocado, cheddar cheese and corn served with sour cream and salsa. House salad with bowl of soup. Served with mashed potatoes and gravy and daily vegetable. Served with mashed potatoes and daily vegetables. Crispy fried or grilled served with mashed potatoes and vegetable. Charcoal broiled and served with mashed potatoes and vegetable. Served with seasonal fruit and cottage cheese. Stuffed with tuna salad and served with tomatoes and cottage cheese. 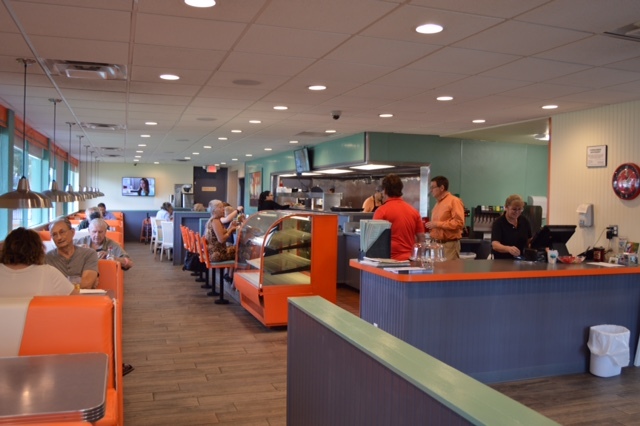 Our specialty… Everything you want for dinner in your own personal bucket! Ask your server about tonight's special bucket. Half a chicken, crispy, fried. Served with French fries or sweet potato fries. Add a cup of soup, a side of coleslaw, our house salad or garlic bread to your bucket dinner. Add two sides to your bucket for $3.00. Sandwiches served with choice of French fries, mashed potatoes or coleslaw. Substitute onion rings or sweet potato fries $1.00. Our favorite bacon, lettuce and tomato with mayo on sourdough bread. Triple decker with bacon, lettuce, tomato, Swiss cheese and mayo. Our sweetie burger with grilled onions and cheddar cheese on grilled rye. Thin sliced corned beef, Swiss cheese, sauerkraut and Thousand Island dressing on grilled rye bread. On a croissant with lettuce and tomato. Open faced tunafish salad and Swiss cheese melted on sourdough. Charbroiled with grilled onions, mushrooms and mozzarella on toasted garlic Texas toast. Our fish of the day, crispy fried and served with coleslaw and tartar sauce. Melted American cheese on grilled white bread. Crispy or grilled with cheese and mushrooms, or spicy Buffalo style with Ranch dressing. The famous ham, turkey and Swiss sandwich dipped in egg, fried to a golden brown, topped with powdered sugar and served with berry jam. Bread: white, wheat, rye, sourdough, Texas toast. Extra .75¢ charge for croissant or hard roll. Onions are optional. All burgers served with French fries. Substitute onion rings or sweet potato fries $1.00. Mouthwatering juicy burger with lettuce, tomato and pickle on a bakery soft bun. tomato and pickle on soft bakery bun. Melted cheddar cheese and bacon with lettuce, tomato and pickle on soft bun. Served with grilled mushrooms, melted Swiss cheese, lettuce, tomato and pickle. 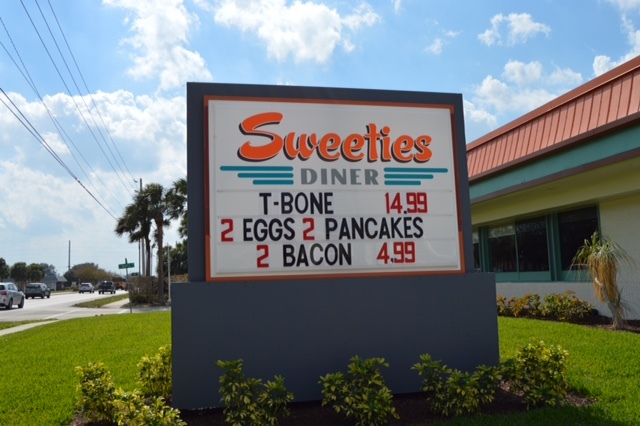 We are running incredible SWEETIES DINER SPECIALS. Our mouth-watering BREAKFAST SPECIAL will tickle your taste buds and be easy on your pocket.